Board meeting. 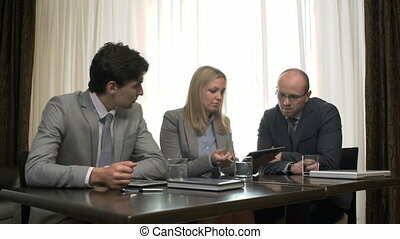 Close up of five business people discussing document details. 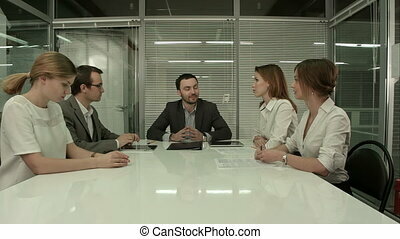 Multiracial trading company board meeting. 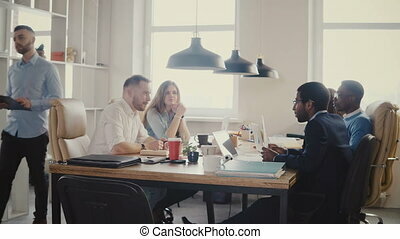 Young happy creative employees brainstorming in modern light office space 4K. 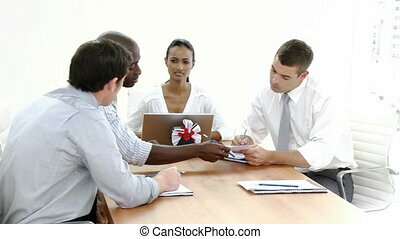 Multiethnic colleagues analyse and discuss currency diagrams on laptops. 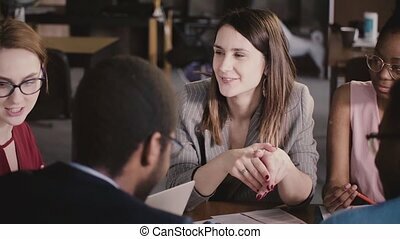 Happy successful businesswoman talking to multiethnic colleagues at corporate board meeting by the table close-up. 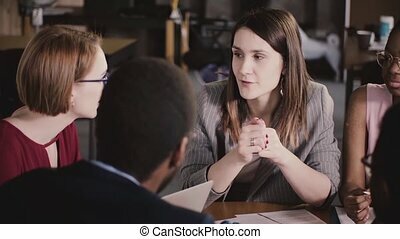 Confident female leader talks to international partners in modern loft workplace. 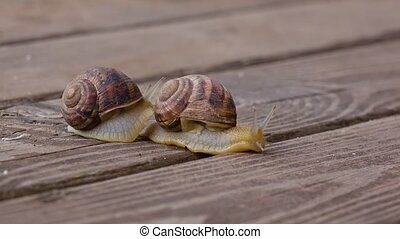 Multi ethnic business partners at a board meeting. Young mixed race colleagues develop company worldwide expansion 4K. 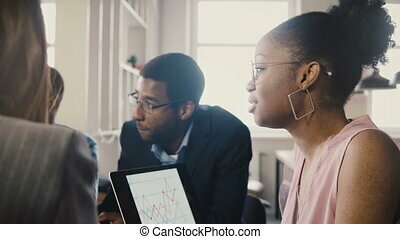 Multiracial colleagues discuss modern cryptocurrrency stock market tendencies. 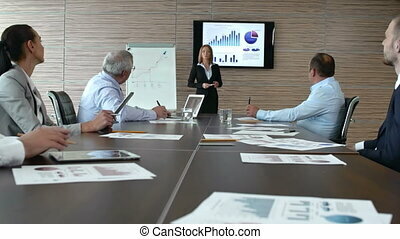 Happy Caucasian manager presenting new ideas to African American company investors at modern office board meeting 4K. 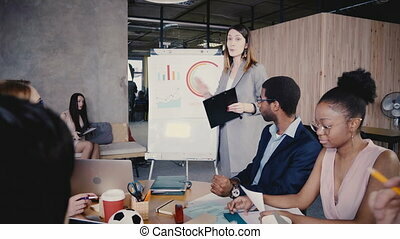 Successful multiracial business people work on international partnership. 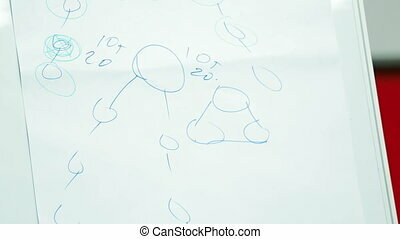 Female CEO describing business project to team, explains data on flipchart. 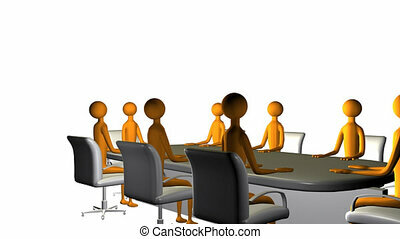 Multiethnic office staff board meeting 4K. 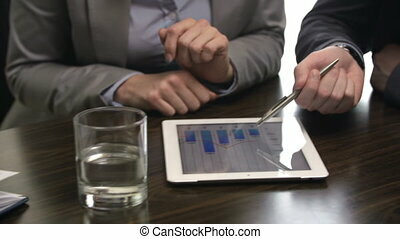 Stock market currency business coach and employees looking at financial diagram. 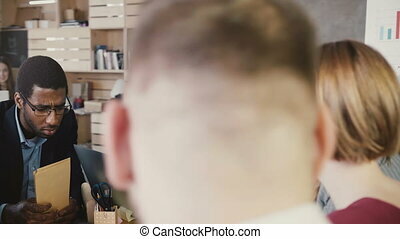 Multi ethnic team discussing creative strategy plans. 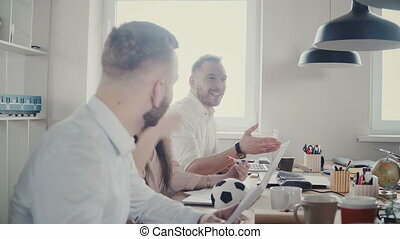 Happy smiling office employees generate ideas at board meeting 4K. Mixed ethnicity young group laugh working in light modern coworking space. 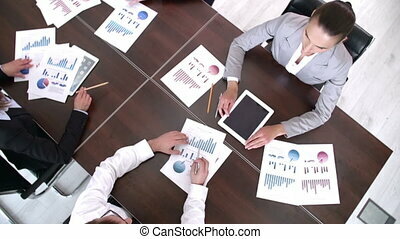 Happy friendly businesswoman listening to her colleague at multiethnic office board meeting by the table close-up. 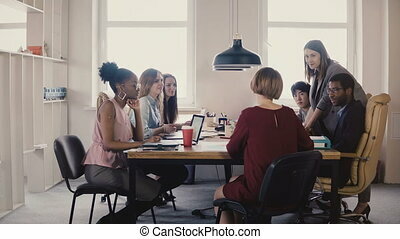 Beautiful female leader inspires and empowers employees in modern loft workplace. 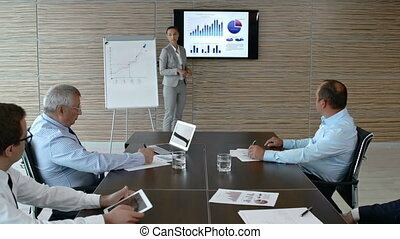 African American woman at office team meeting. 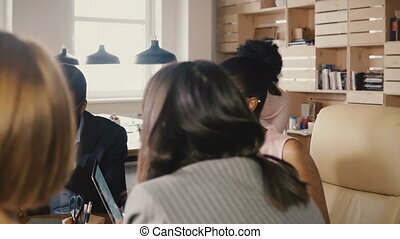 Multiethnic creative group developing company marketing strategy. 4K. Diverse business agency board meeting teamwork on international partnership.